If you are looking for the top of the line wind chimes, look no farther. 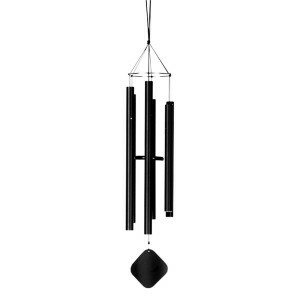 Music of the Spheres is the Stradivarius of Windchimes(tm). You do not need to know a single note of music to appreciate the harmony that distinguishes Music of the Spheres chimes from every other company. Their symphonic quality sing with a rich, lyrical blend of tones that resonate not simply in the ear, but in the soul. 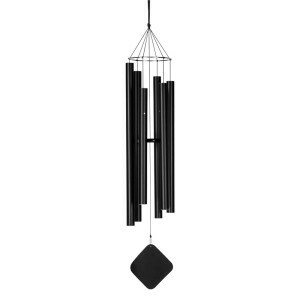 They are handcrafted one chime at a time, with every component made here in the U.S.A. Music of the Spheres wind chimes rely on a time-tested combination of weather resistant materials: aluminum, stainless steel, UV-stabilized synthetic braid, and UV-stabilized polyethylene. They offer one of the best warranties on the market today. Their unique detachable windcatcher offers activity control for those extremely windy days and their movable clapper provides and on/off option as well. To turn the chime “off” simply slide the clapper from the center of the chime up the center cord and rest it on the ring, outside of the “cone” at the top. 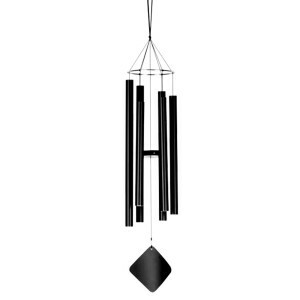 Music of the Spheres wind chimes are perfect for creating harmony in your home. All the sizes and tunings we feature blend beautifully together to create an ensemble or “singing in parts” effect. Many of our customers enthusiastically add a new size to their collection each year. Pentatonic – The Pentatonic scale is the most widely used scale in the world. It dates back to Ancient Greece. Our customers say it has a familiar sound. 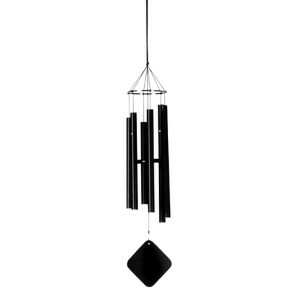 This chime contains all the notes to “Amazing Grace” in the Soprano, Alto, and Bass sizes. It blends beautifully with the Hawaiian tuning. Hawaiian – The Hawaiian tuning is Polynesian in flavor. Reminiscent of tropical island breezes. It combines the best of major and minor pentatonic scales. Mix Hawaiian with Pentatonic for a lovely multi-cultural effect. Quartal – A musical palindrome, the Quartal tuning is based on intervals of fourths and fifths. Its smooth and serene sound captivated American composers, notably Aaron Copland and Paul Hindemith, in the early twentieth century. When the Basso Profundo plays this tune, nothing compares to the beauty you hear. It will sweep you away….